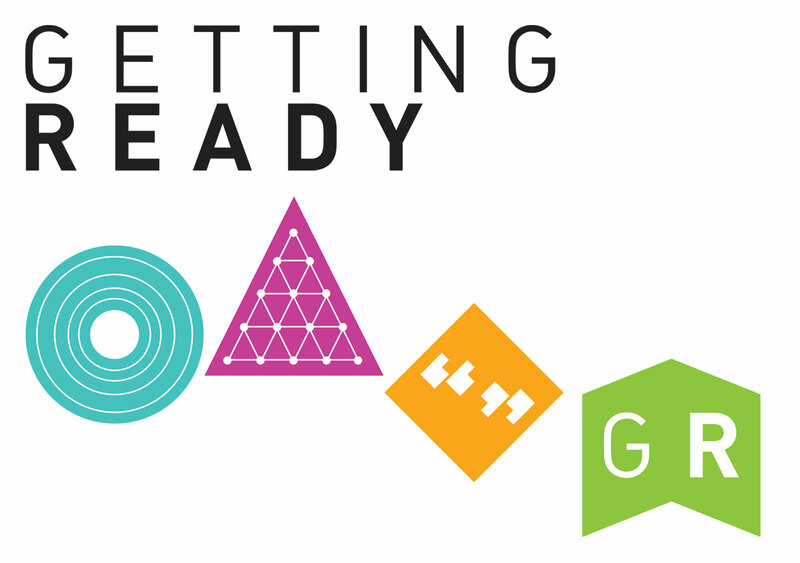 Learning manuals for the Getting Ready training course. 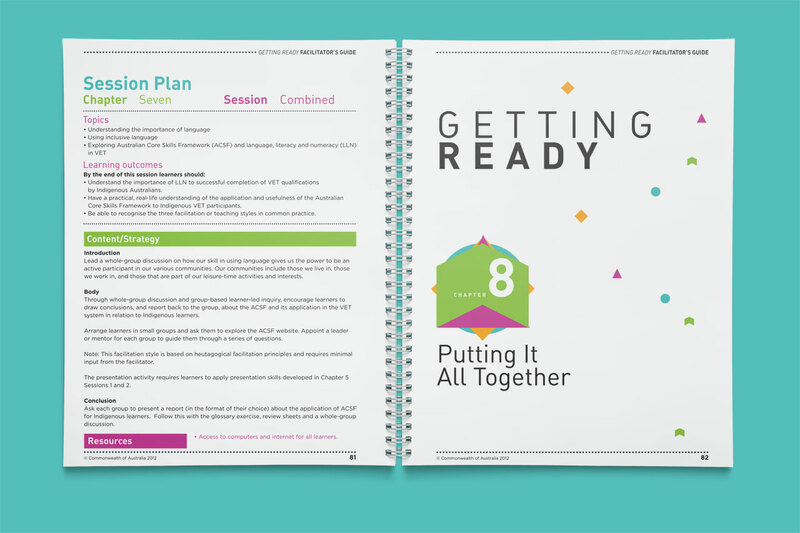 Working with Adult Education specialists Margaret Cossey and Kelli Macintosh, we developed a series of training documents with an explicit aim to be open and accessible to its core users. 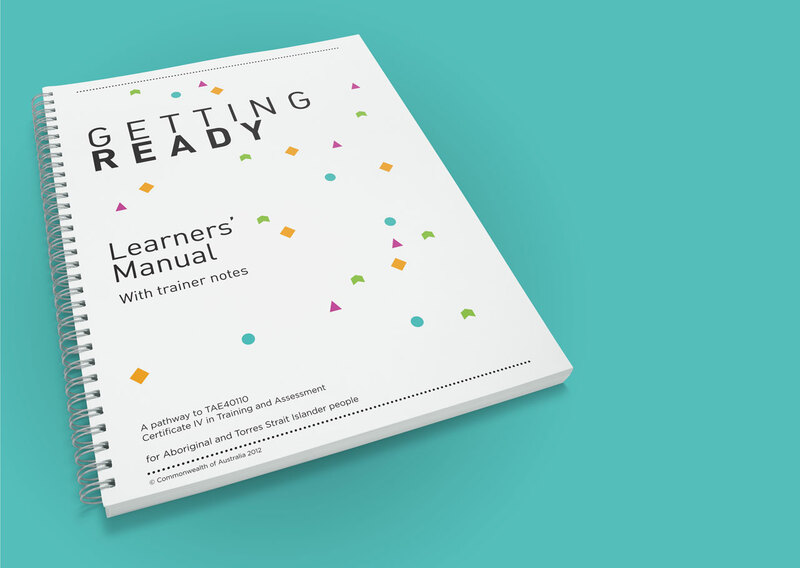 We wanted to break away from the more ‘text-heavy’ approaches to training documentation, as well as cater for students and trainers with lower literacy levels. Many of the core users would also be based in Indigenous communities, and so we wanted to find an engaging way to bring in visual cues and imagery to open up the various training modules. 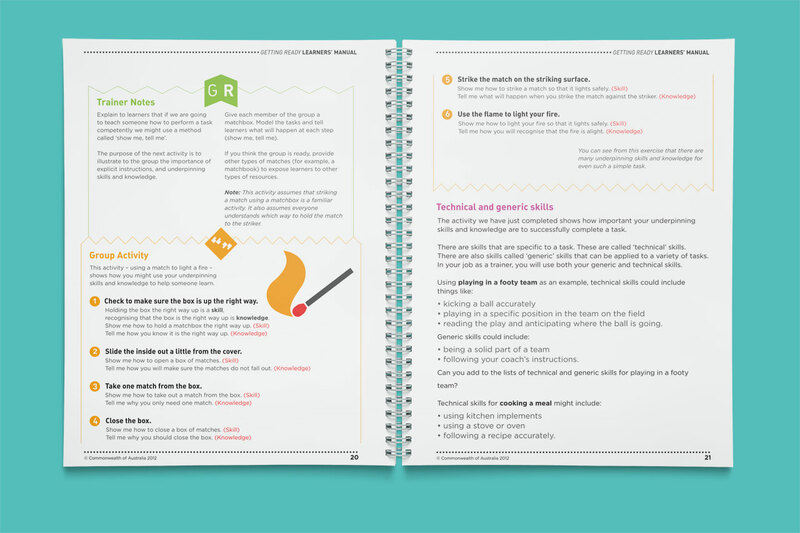 A key aspect to the layouts was to break up text modules with icons and instructional diagrams, encouraging users to ‘doodle’ and sketch throughout the manuals. 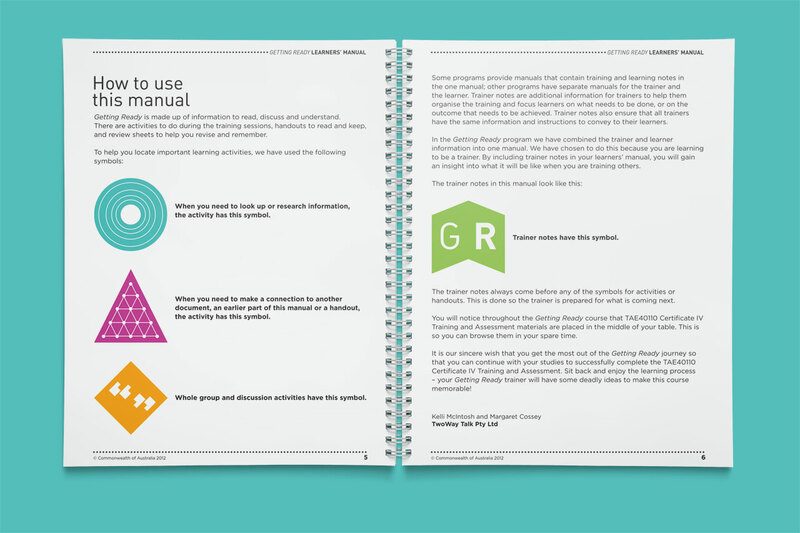 We also developed a set of way-finding icons and colour palettes to help highlight key sections of the manuals and provide an easy to use reference/navigation key.